Pricing includes set-up and take-down. Delivery and Pick-Up is an additional cost and is based upon venue location and number of vehicles required. Additional fees may apply for difficult installs - including, but not limited to obstructed areas and /or installation upon rock or like surfaces. 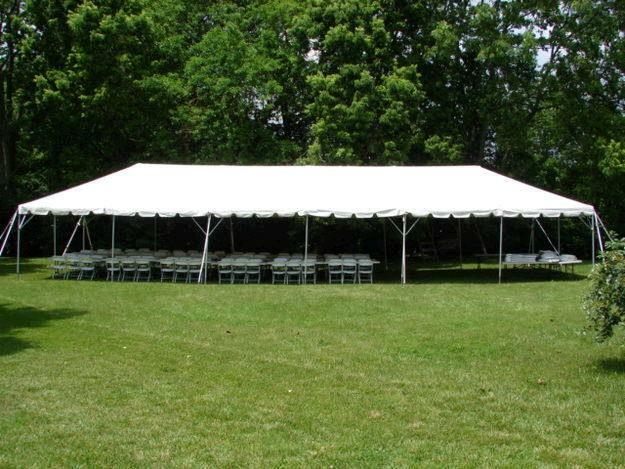 * Please call us for any questions on our tent frame 20 foot wide rentals in Central Virginia, Charlottesville, Waynesboro, Harrisonburg, Staunton, and Lexington VA.